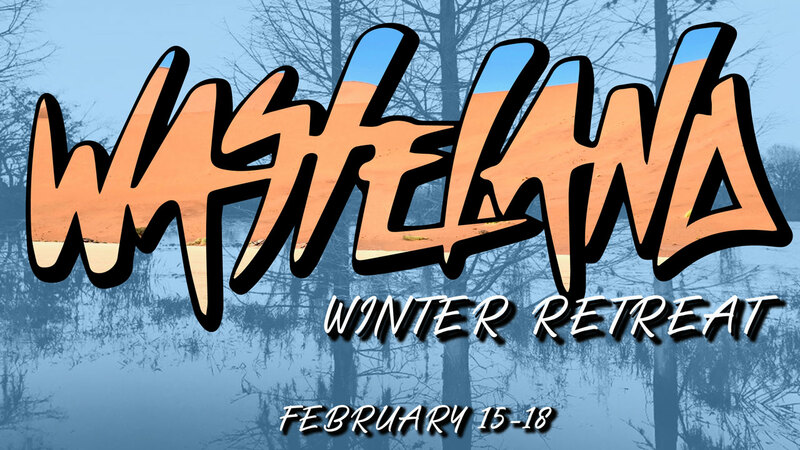 Winter Retreat is back! It will take place February 15-18 at Camp Gilead in Polk City (between Tampa and Orlando). Activities will include: paintball, basketball, canoeing, team competitions, sand volleyball, special late night activities and more. With high energy worship and our special speaker, Kyle Butler (Student Pastor at NDBC) will be sharing encouraging and challenging messages from God’s Word! This years theme is WASTELAND from Isaiah 43:19, where the big idea is…God could be doing amazing things to grow you spiritually when you feel like you are in a spiritual drought. We will depart Friday, February 15 from our Ballast Point Campus. Check-in will start at 4:30 p.m. and we will depart at 5:30 p.m. We will return Monday, February 18 to our Ballast Point Campus before noon. The Early Bird Price will end January 10 at Midnight.